Fun Fact Fridays Babies Can Tell Happy Songs from Sad Ones! Before we are able to talk, our communication is achieved by different means. 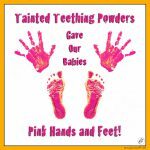 Babies are constantly learning and live in a world very different to ours. They live in a world where they communicate very differently, using body language and different cries (Touched upon in this post) – and whilst they are unable to speak, they are able to understand far more than we realise. They live in a world where the first thing they understand in a communication sense is emotion. We first discovered this when we found out that babies can speak dog and the study that unearthed it. 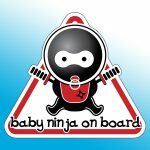 The study showed that babies as young as 6 months old were able to differentiate between friendly and aggressive dog barks (week 98). This week’s fact comes from the same university (Brigham Young University in Utah, USA) and researchers that showed babies can understand dogs. This time they have shown that babies can understand different emotions in music and distinguish between happy and sad songs. The study found that at just 5-months-old a baby can distinguish the “happy” songs from the gloomier compositions and by the age of 9-months-old, they were able to do the opposite and pick out the sorrowful tunes from a selection of more buoyant pieces. This illustrates that babies as young as 9-months-old are able to categorise songs as happy or sad in the same way as adults do! Our non-speaking little ones can understand the emotional capacity of music from a very early age, far earlier than many of us realise. Could it be that music’s power may not lie within the lyrics? Should we think twice about exposing them to genres such as gangster rap or death metal at an early age? Could we be exposing them to emotions that are too big for tiny people? We’ll let you decide. 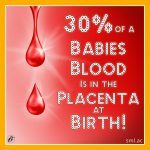 30% of a Baby’s Blood Is in the Placenta at Birth! 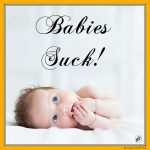 Pregnant Women and New Mothers Can Lactate at the Sound of a Baby Crying, Even If It’s Not Their Baby! 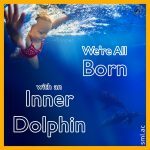 We’re All Born with an Inner Dolphin!